Hand crafted soaps are on the rise in popularity. Consumers can pick from organic to gluten free soaps. But how do you know which one has the best ingredients for you? 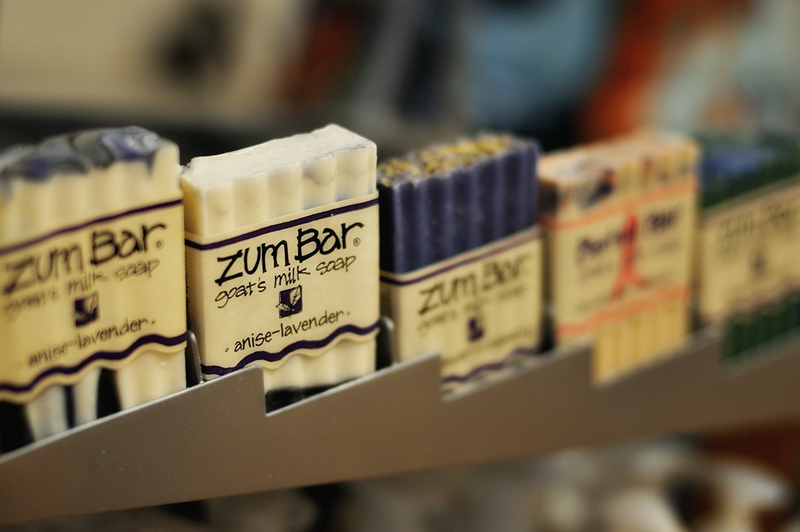 I have tried many hand crafted soaps but none have been as rewarding as Zum Bar’s goat milk soap. I believe what makes their soap so good is their base ingredient of goat’s milk. So I’ve decided to research the benefits of goat’s milk in soap and what I found out was amazing! Goat’s milk contains the natural triglycerides, otherwise known as the “good fats”, which allows our skin to be naturally moisturized. Most soap companies artificially try to recreate those good fats but end up using a lot of chemicals in the process. Goat’s milk contains high contents of lactic acid. Lactic acid breaks down and removes dead skin cells which allow for the growth of new skin cells to form on the surface of the skin. This creates the appearance of smoother and more youthful skin! The pH level in goat’s milk is very close to the level in our skin so it allows us to not overproduce oils in our skin that cause acne breakouts. Also goat’s milk has anti-bacterial properties that delay the growth of bacteria in our skin which in turn prevents the growth of pimples and zits. Goat’s milk is loaded with all sorts of vitamins like vitamin D, C, B1, B6, B12, and E. All of those vitamins promote the growth of healthy hair, skin, and nails. Since the content of goat’s milk is high in fat, it acts as an anti-inflammatory for our skin.The creamy texture in goat’s milk soothes dry and damaged skin reducing any skin inflammation you may have. How amazing is that? If you aren’t using a goat’s milk soap yet you are missing out!